Cauldryn Temperature Controlled Mug ONLY $89.99! 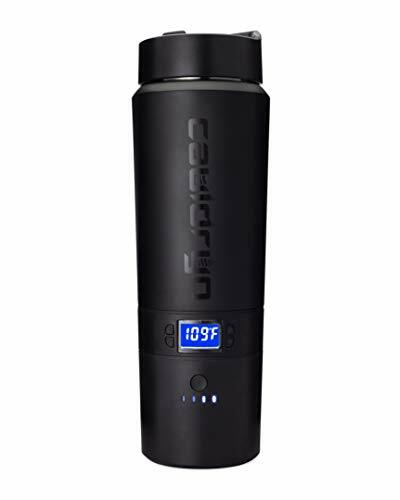 Cauldryn Temperature Controlled Mug – $89.99! Score a GREAT DEAL on the Cauldryn Temperature Controlled Mug today for only $89.99 from Amazon! You will get FREE Shipping if you are a Prime member! If you are not an Amazon Prime member you can grab a FREE 30-Day Trial HERE! Get the all the Details of this deal below! CAULDRYN COFFEE is a hot beverage’s best friend. Select any temperature you want between room temp and boiling, and CAULDRYN COFFEE will keep it precisely there ALL DAY! You no longer have to worry about rushing through your cup of coffee or using the microwave to heat it back up. CAULDRYN COFFEE’S 10 hour battery life means you can have your coffee or tea at the perfect temp from the first sip to the last. It makes every sip the perfect sip. CAULDRYN COFFEE’S powerful heating element can do more than just keep your coffee hot. You can brew coffee, heat up soup, cook, even boil right in the bottle. Use the simple arrow buttons on the bottle to set your temperature, or use the free phone app to control it from a distance. The app even has one touch settings for common tasks like brewing green tea, or cooking freeze dried food. CAULDRYN COFFEE’s design is modular. That means that the battery and heating element are removable for easy cleaning and to allow for connecting optional attachments like our blender that can chop ice. It turns your CAULDRYN COFFEE into a mobile smoothie/frozen drink machine. 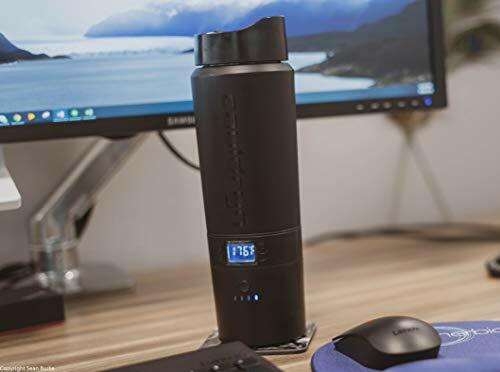 Don’t miss this deal at Amazon Today on the Cauldryn Coffee Travel Mug – Heated Mug, Vacuum Bottle, Temperature Controlled Mug, Battery Vacuum Bottle that Brews Coffee or Tea as well as Boils Water and Maintains Your Selected Temp All Day for only $89.99!